Stunning D105 Brick Oven with polished granite surrounds and bench tops, professionally built by our Flamesmith Sam Fraraccio, for Irene and Tony in Dandenong, Victoria. "In 2014, after renovating our outdoor entertainment area we decided that the only thing missing was a wood fired oven. We contacted The Melbourne Fire Brick Company for some advice and ideas. Ben was most helpful and understood immediately what we wanted. Sam was the most professional and friendly tradesman you could deal with. No question was too hard, and his attention to detail was most appreciated. We have spent many nights outside, entertaining friends and eating wonderful pizzas from our oven. 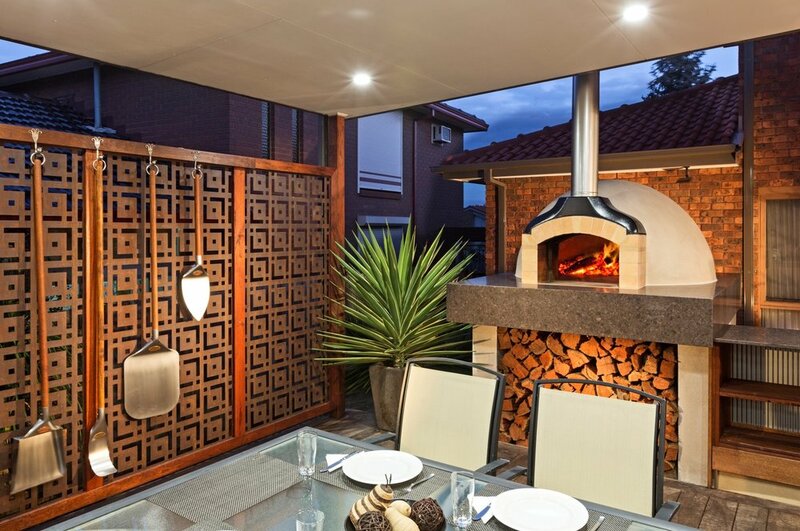 It has been a wonderful addition to our home and we would certainly recommend The Melbourne Fire Brick Co. to anyone contemplating buying one."